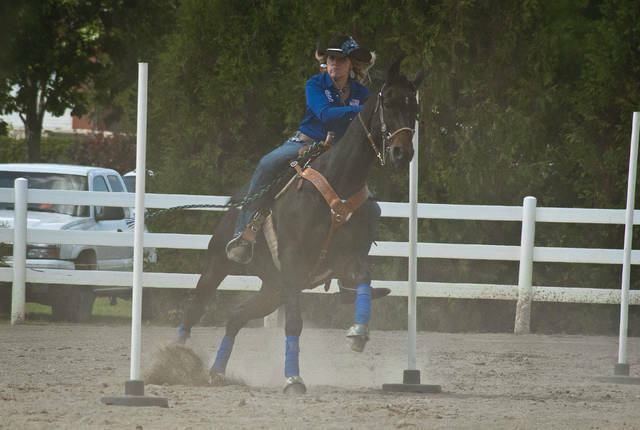 Running through the pole bending course can kick up a lot of dust from the course as riders guide horses around and between the poles. Lexie Renner and her horse Trooper made the course look as if a heavy fog had set in Sunday at the 2017 Delaware County Fair. The fair opened over the weekend and will run through Saturday. For information about the fair, visit www.delawarecountyfair.com. This entry was tagged delaware county, horses, Pole Bending. Bookmark the permalink.